Our creamy yummy Macaroon Body Scrub are a blend of natural salts, sugar and nourishing Butters and Oils that will leave you with glowing, hydrated skin. 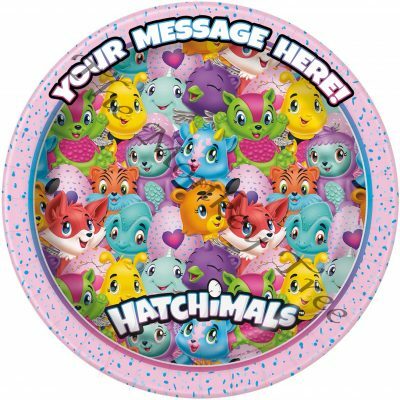 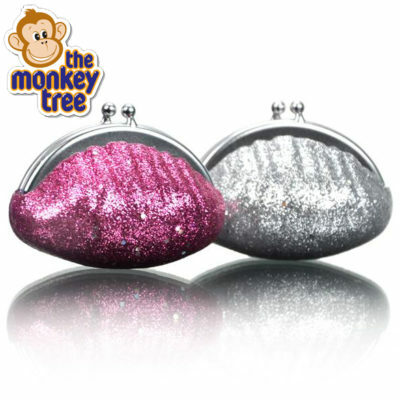 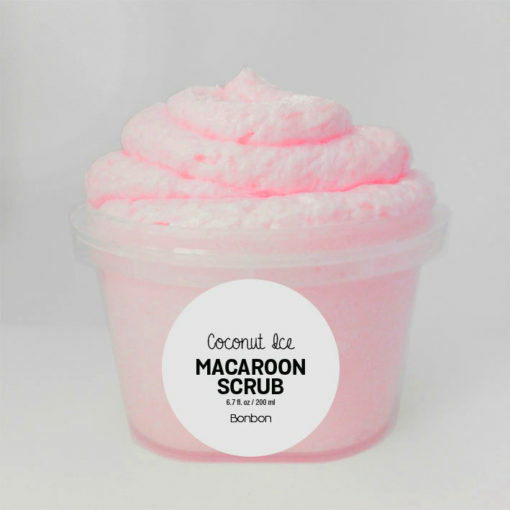 Use them in the shower or bath and when massaged into wet skin, they emulsify, turning into a lotion-like polish with no greasy feel or oil slick in your tub and shower! 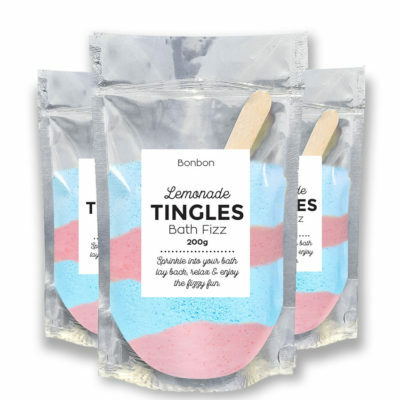 Bon Bon Vegan Bath Tingles – Lemonade! 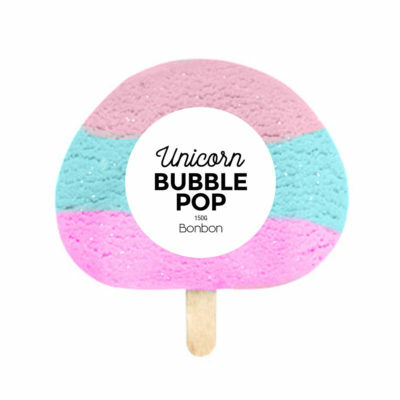 Bon Bon Vegan Bath Bubble Block Popsicle – MAGICAL UNICORN! 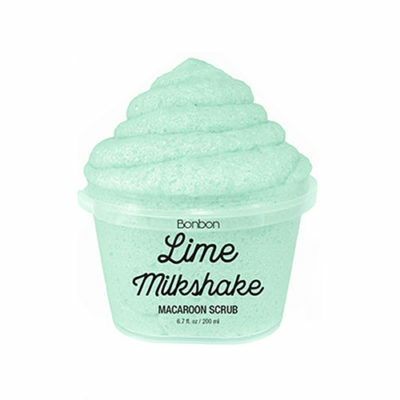 Bon Bon Exfoliating Face Scrub – LIME MILKSHAKE! 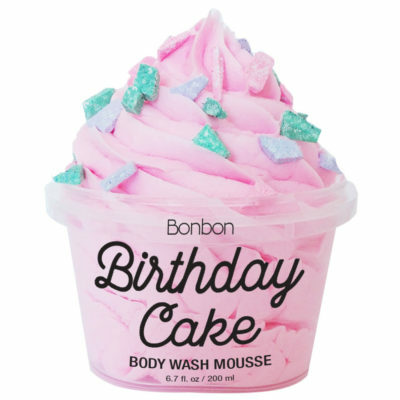 Bon Bon Vegan Fluffy Body Wash Mousse – Birthday Cake!